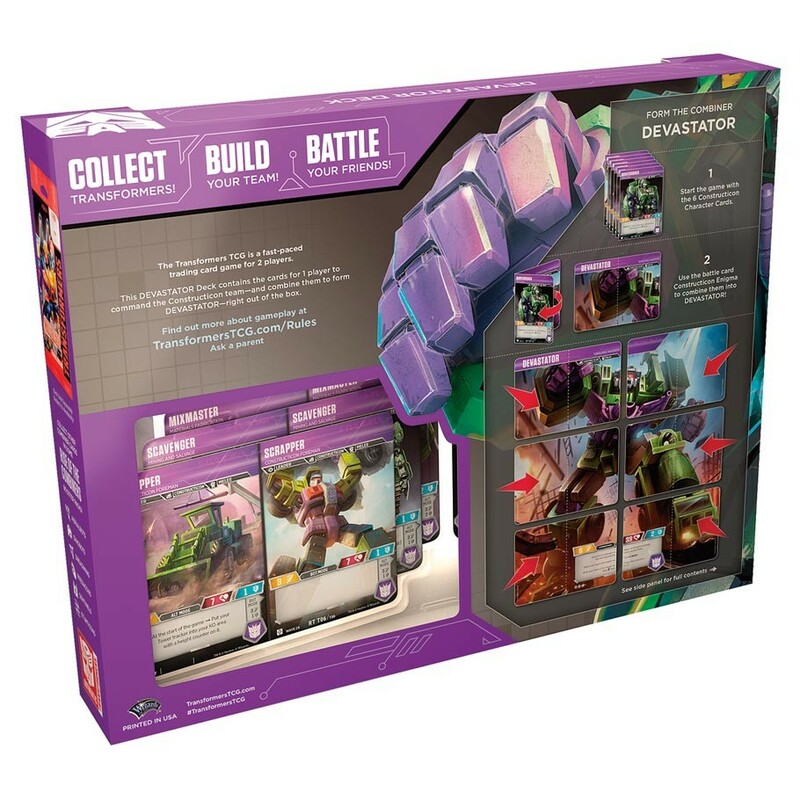 The Transformers TCG: Devastator Deck contains all the cards one player needs to field the Constructicon team – and combine them to form Devastator. 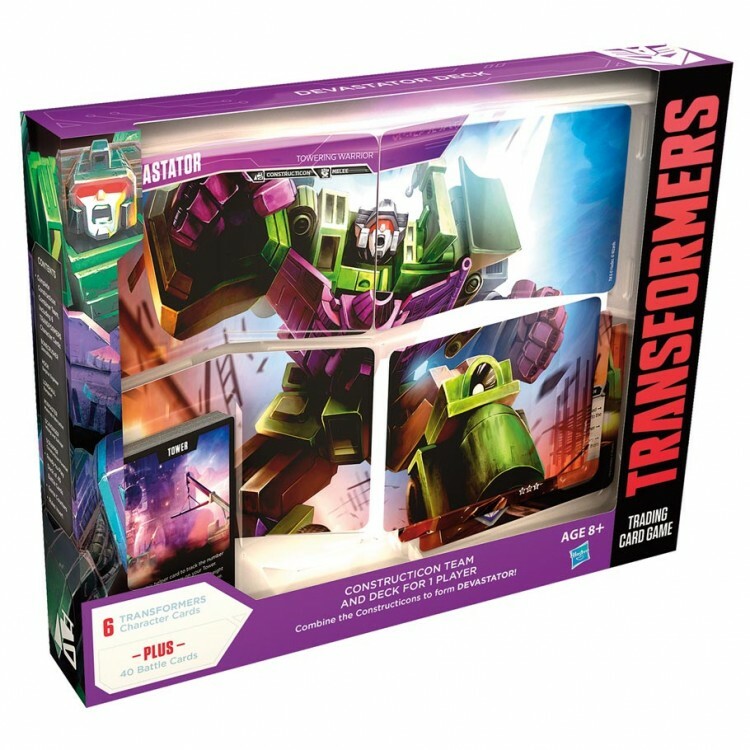 Scrapper, Scavenger, Mixmaster, Bonecrusher, Longhaul and Hook can use the battle card Constructicon Enigma to combine into the towering Decepticon warrior. In addition to the 6 Character Cards, 5 Battle Cards, the box also contains a rules sheet and counters.